An Article 301 trial (“insulting Turkishness”) is started against lawyer Tugay Bek who claimed the state is protecting the killers of murdered press worker kadri Bağdu. The first session will be heid in Adana on January 28. Mistreatment in jail: Arrested journalist Mehmet Baransu wrote about the bad treatment he is exposed to in jail; Cihan News Agency reported. Censored: Political cartoonist Carlos Latuff’s website is among the thousands of banned sites in Turkey. The cartoonist announced the situation with this post. Detained: ETHA News Agency Editor İsminaz Ergün was detained on November 27 and about an opinion piece (titled “The Kurdish People wants an Honorable Peace”) she wrote and released after questioning. Another investigation against Nokta: Nokta reported that another investigation is launched against Nokta regarding its “Erdoğan selfie” cover. Nokta’s already arrested editors (due to Nokta’s “civil war” cover) Cevheri Güven and Murat Çapan will be investigated about the “selfie” cover for “insulting the president” and “making propaganda of a terrorist organization” alongside two new names: Ertuğrul Erbaş (news coordinator) and Emrah Direk (digital publishing director). 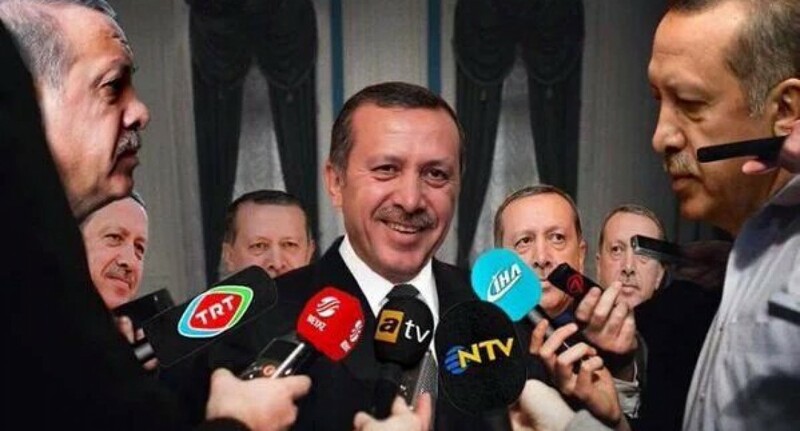 Originally, Çapan was the only suspect in the investigation with the accusation of “insulting” Erdoğan. The website of Hürriyet prepared a photo gallery on the superstition of Firday the 13th. The editors carelessly used a Jesus and his disciples photo montage with President Recep Tayyip Erdoğan in it; eating chicken. This cost the two journalists their jobs immediately and Hürriyet stated a written apology. Following the Koza-İpek takeover, dozens of journalists working at the dailies Bugün and Millet have lost their jobs. The fired journalists have started to publish “Özgür Bugün” (Free Bugün) in print on October 30 as a reaction. “Özgür Millet” followed on November 1. 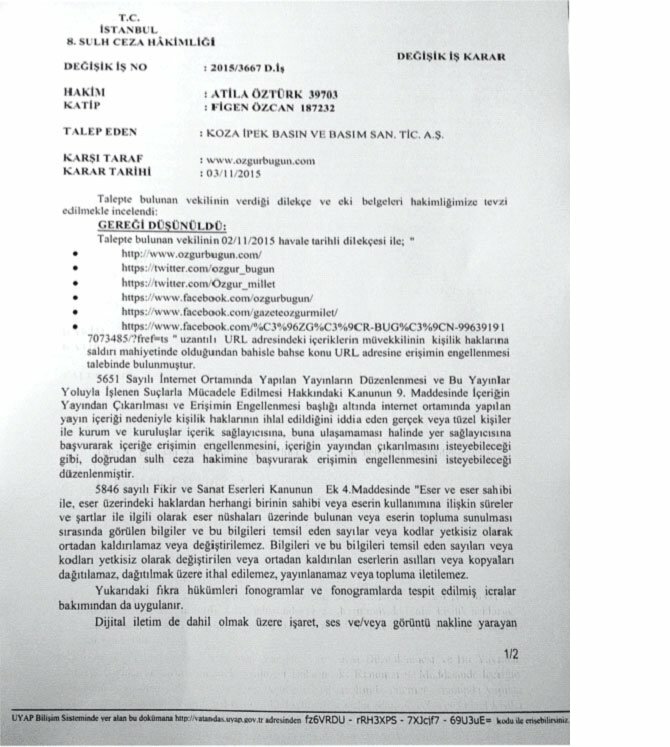 However, the trustees filed a criminal complaint against this action and an Istanbul court banned the websites and social media accounts of the dailies on November 4. Other journalists, including Bugün TV’s Chief Tarık Toros were also fired.